You must be logged in before you can book this course. Log in. A six-day contact time qualification to enable candidates to analyse, develop and deliver player centred coaching and delivery plans that cover all areas of a player’s personal development. 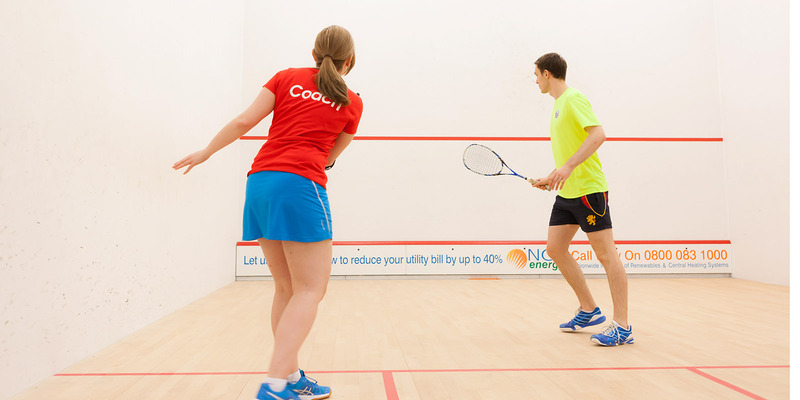 Who it's for: a Level 2 coach looking to coach the technical and tactical requirements of squash to both juniors and adults at advanced level (County and Regional) or support and mentor other coaches – as a Head Coach or Assistant Coach. You'll need to attend the England Squash Talent Development (Level 3) Pre-requisite Workshop in either Buckinghamshire or Manchester. Strength and conditioning workshop (four hours): delivered by Nathan Wells - Head of Strength and Conditioning at England Squash. Performance analysis and the coaching process: delivered by Gareth Chappell, Head of Performance Analysis at England Squash. Playing in partnerships: (three hours): delivered by David Campion, England National Coach. Learning styles and skill games: (three hours): delivered by Paul Carter, England Squash High Performance Coach. Coaching philosophy : delivered by Danny Massaro. support and mentor other coaches – as a Head Coach and Assistant Coach. Attended the Level 3 Pre-requisite Workshop in either Buckinghamshire or Manchester. Hold an appropriate Level 2 Award in coaching squash. The cost of the course is £1,100. The Level 3 award is hosted at the National Squash Centre in Manchester. If you wish to pay the course fee by instalments or have funding assistance in place, please contact Kevin Stewart by email prior to application at kevin.stewart@englandsquash.com. must be an England Squash coaching member (Membership costs £40 and includes Public Liability Insurance). have an up-to-date DBS Enhanced Disclosure (approx. £18) safeguarding training (approx. £20) and first aid certificate. There may be some financial assistance available in your area - check out our funding opportunities.